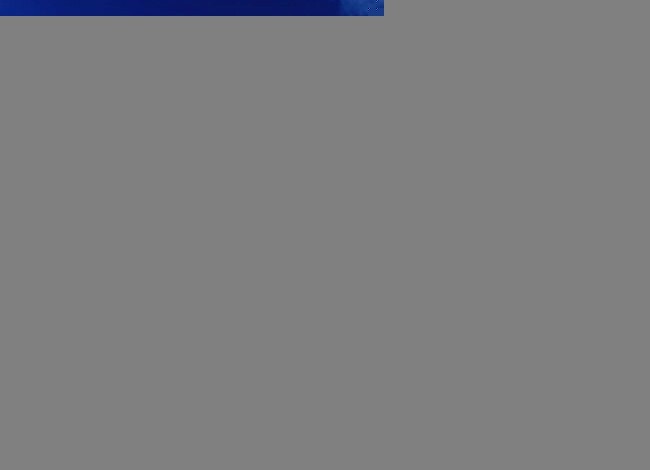 Although the small island of Eleuthera is unbeknownst to most, it is actually considered to be the birthplace of the Bahamas. Named after the Greek word “eleutheros” meaning freedom, Eleuthera has long been considered the original location of the commonwealth since the British settled on the island in the 1700s. Featuring pristine white sand beaches, New England architecture, and endless pineapple fields, this Bahamian island paradise has a decorative history and deep roots in the native culture. 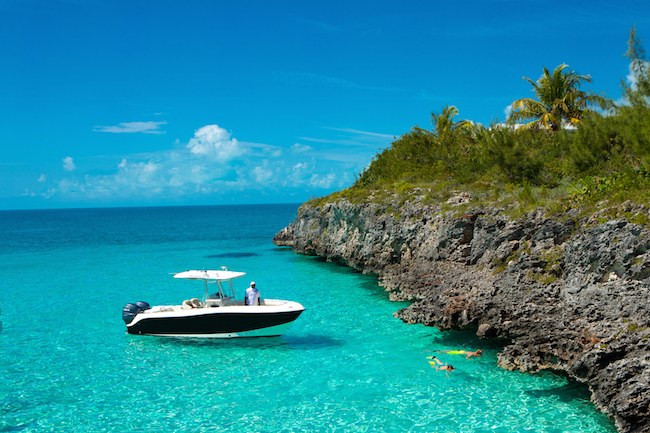 Although The Cove, Eleuthera evokes the feeling of a private island retreat a million miles from home, in reality, the island is just a short one-hour flight from Florida. With daily flights departing from major hubs in Atlanta and Florida, getting to Eleuthera is much more attainable than travelers may think. Hop on a plane in the morning and be on one of the resort’s private beaches by noon, with a cocktail in hand. Eleuthera boasts having some of the world’s sweetest and juiciest pineapples, adequately naming it the “Pineapple Capital of the World.” Pineapple farming began on the island in the mid-18th century and is still a large part of the island’s culture today. For travelers visiting Eleuthera in June, be sure to stop by the Pineapple Festival, an annual tradition celebrating the island’s farmers and the pineapples they grow. After touring Eleuthera’s pineapple plantations, end the day with a fresh Pineapple Smash or Pina Colada cocktail at The Point Bar, while soaking in the sunset views. Providing personalized touches every step of the way, one of the more endearing amenities provided by The Cove, is coconut water delivery to guests’ doorsteps as a morning refreshment. Placed outside the villas in a freshly-picked coconut, this thirst-quenching beverage is bound to start the guests’ morning with a smile and prepare them for a day of island exploration. 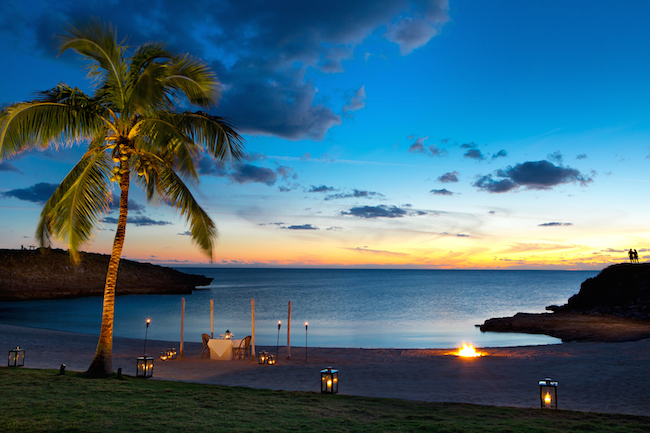 Offering tranquility among calm turquoise waters and secluded beaches, The Cove, Eleuthera provides an idyllic backdrop for the most stunning marriage proposals. With beauty and romance surrounding guests every step of the way, the devoted and attentive team is available to assist with whatever guests may need to orchestrate this unforgettable moment in time. From setting up an intimate dinner on the beach, to capturing the proposal on camera from a hidden locale or coordinating a special surprise back at the villa, The Cove, Eleuthera will ensure this monumental occasion goes seamlessly. For those looking for a little adventure on the serene side of the Bahamas, The Cove, Eleuthera offers an exclusive Conch Shell Diving experience, allowing guests to explore the resort’s aquatic backyard in search of fresh conch – a local shellfish and Bahamian culinary favorite. Under the expert guidance of the resort staff, this 4-hour excursion allows guests to embark on a private charter to spot and dive for conch and snorkel the crystal clear blue waters. After the diving adventure, guests are escorted to a private white sand beach where they will turn their freshly caught seafood into a delicious Conch Shell Ceviche, making for the ultimate sea-to-salad experience. Guests can drive or bike 4 miles north of the resort to explore the famous Glass Window Bridge, one of Eleuthera’s most popular attractions. Often referred to as the “narrowest place on Earth,” the man-made bridge provides stunning ocean vistas, making it a perfect romantic excursion for guests of The Cove. An undiscovered paradise secluded between two white sand coves, The Cove, Eleuthera features two private entry beaches equipped with WiFi capabilities, allowing guests to stay connected while being far removed from the hustle and bustle of everyday life. 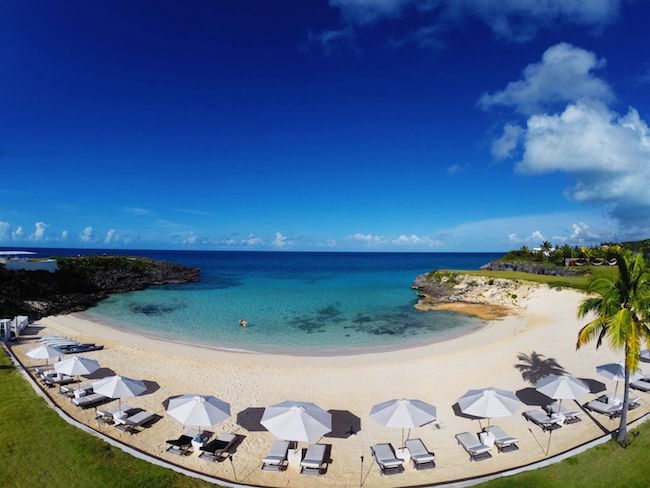 With three spectacular dining options and two private beaches, along with a selection of stylish, white seaside villas and accommodations, all with pristine tropical views, The Cove, Eleuthera provides an unparalleled backdrop for both work and play. A Caribbean paradise and Bahamian gem, little compares to the uncompromised turquoise ocean views visible from almost every inch of The Cove, Eleuthera’s grounds. Thoughtfully dispersed throughout the resort’s 40 acres, The Cove has over 30 hammocks available for guests’ enjoyment. 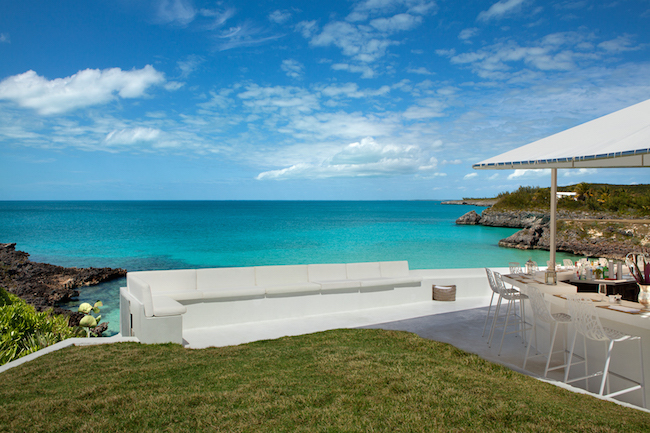 Make dreams of having a private island retreat a reality by taking over The Cove, Eleuthera for a special occasion. Perfectly suited for a destination wedding, honeymoon, family reunion, or anniversary celebration, guests have the option of buying out the resort for ultimate exclusivity. This looks like a must! Thank you so much as this is so close to Atlanta! Your posts always have the best resorts. We have not heard of this, but it looks like a winner and worth checking out! Such a fun post! Pineapple capital? Who knew?